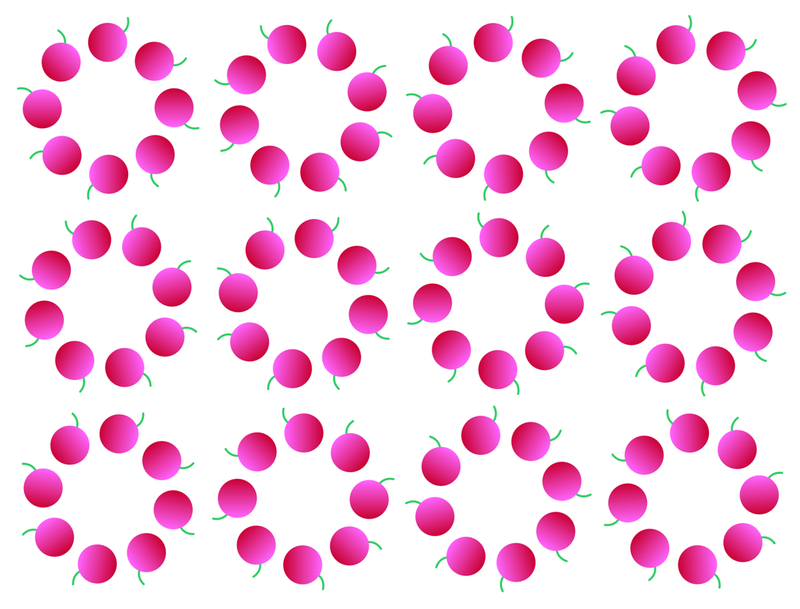 Each ring appears to rotate. 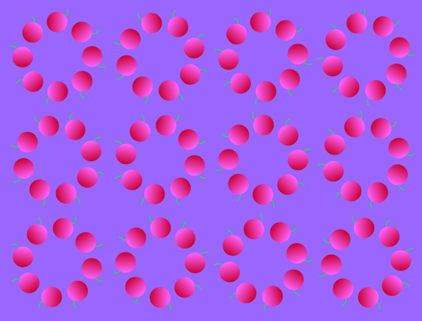 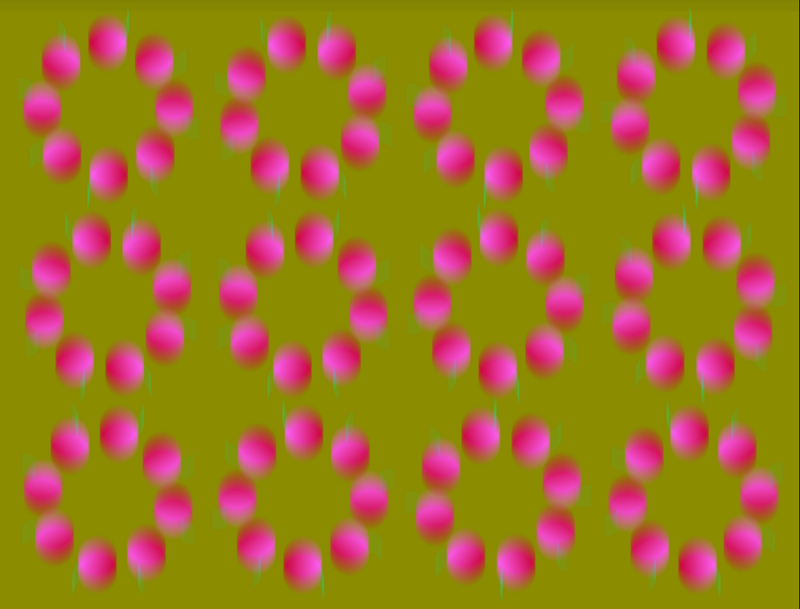 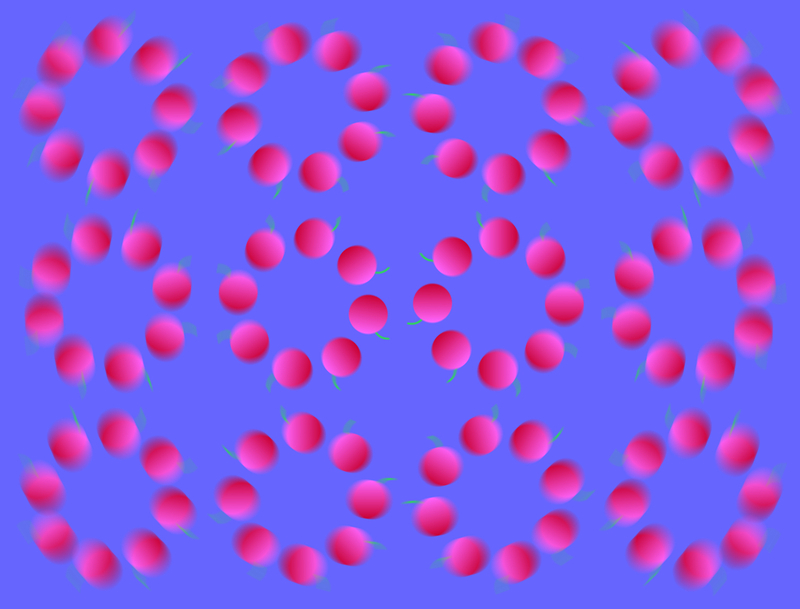 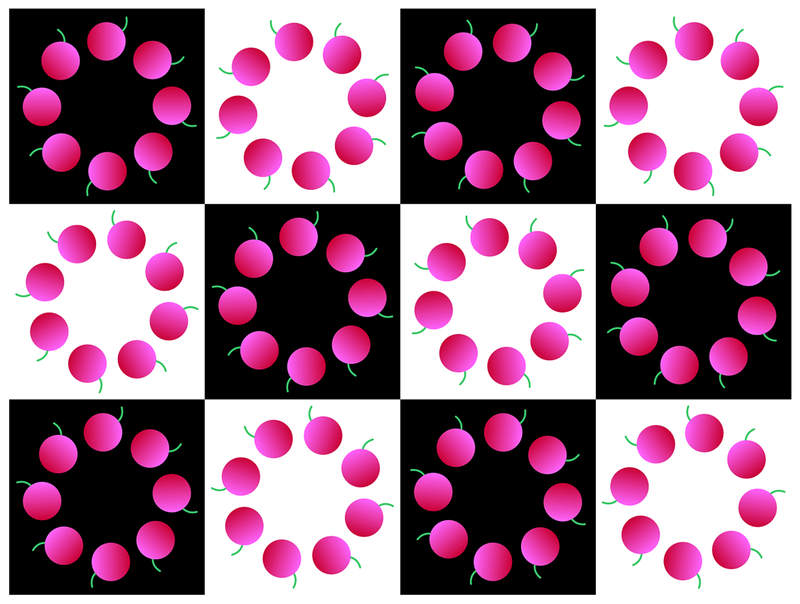 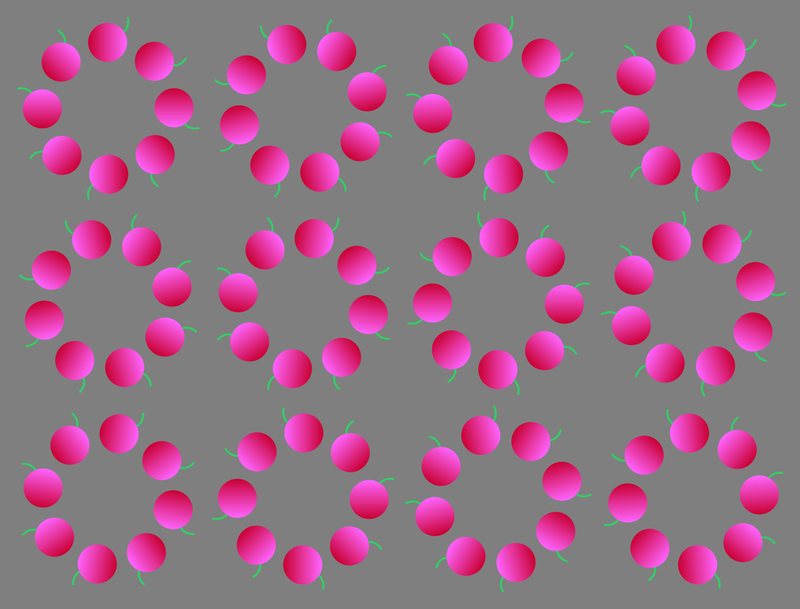 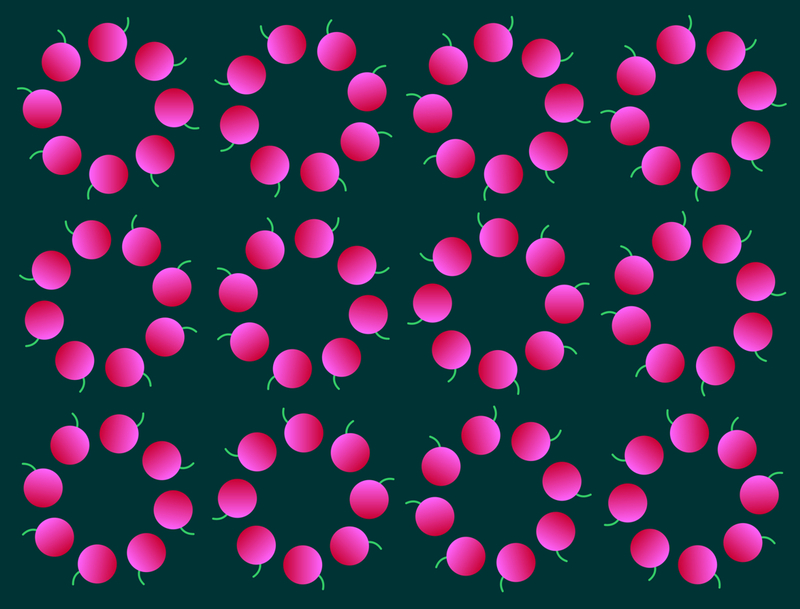 "Rotating cherries 6: a vertical shake"
"Rotating eyes of light-blue and pink: counterclockwise"
Rings appear to rotate counterclockwise. 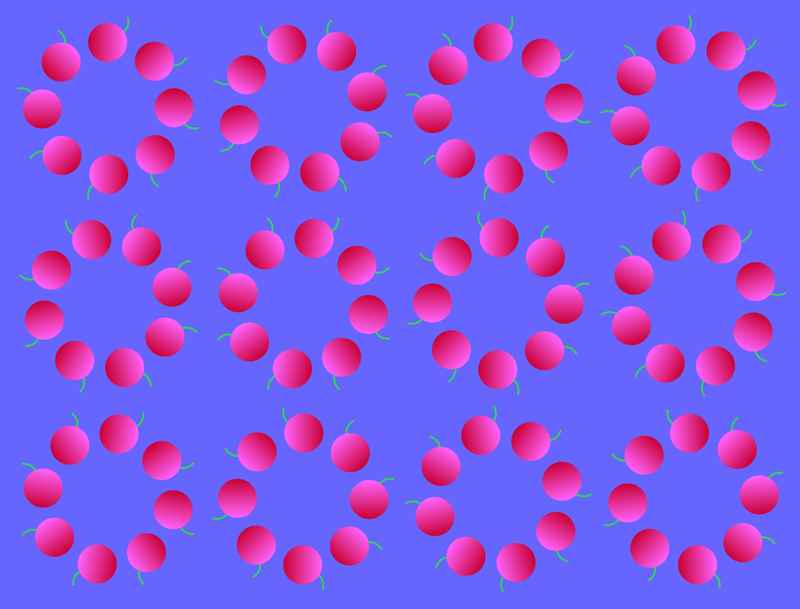 "Rotating eyes of light-blue and pink: clockwise"
Rings appear to rotate clockwise. 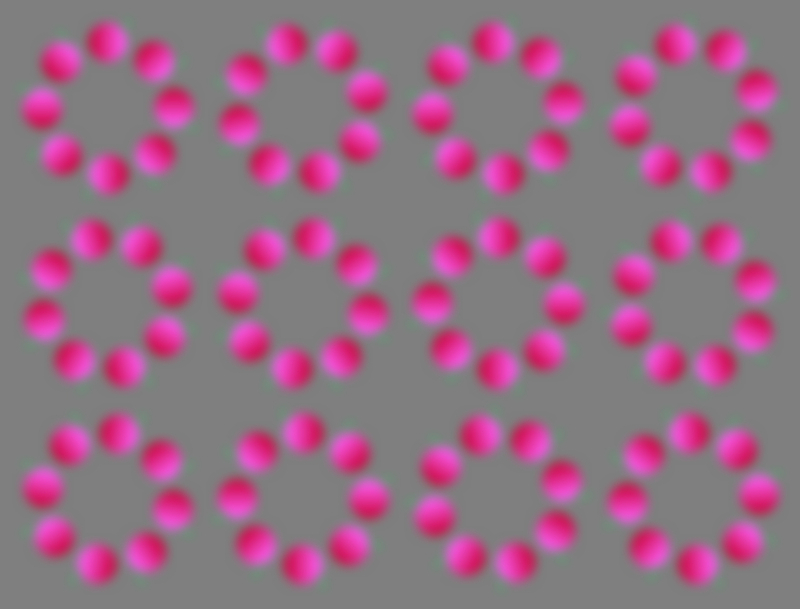 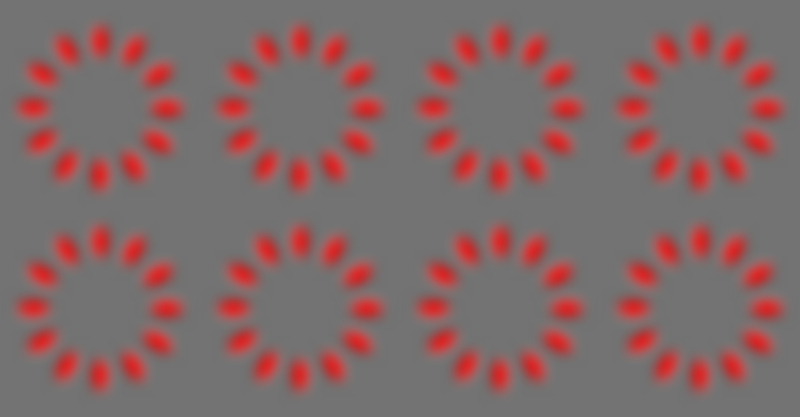 "Rotating asteroids with eight arms"
"Rotating rings of red cells"
The top left and bottom right rings appear to rotate counterclockwise while the rest clockwise. 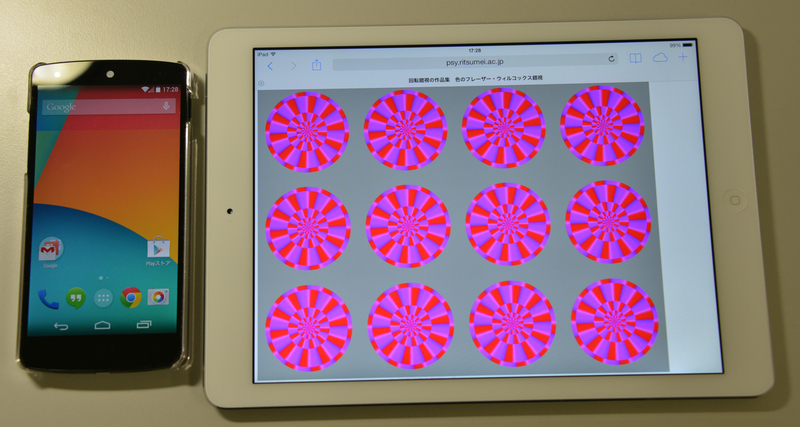 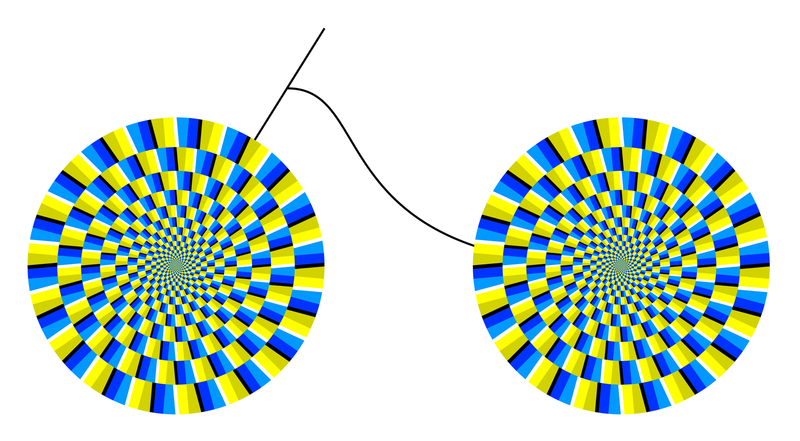 Wheels appear to rotate counterclockwise. 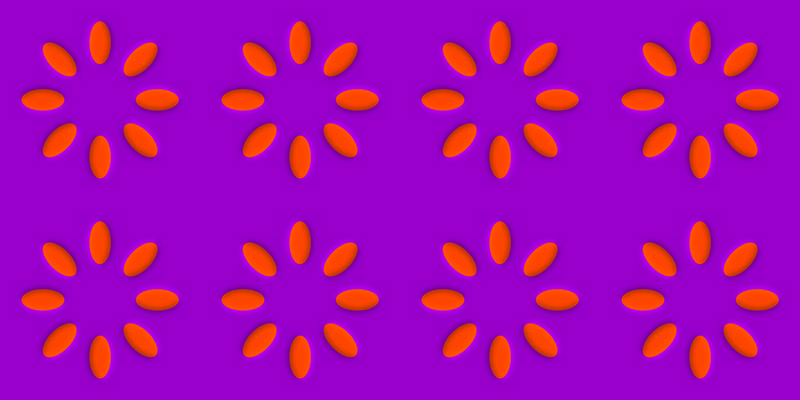 "Rotating red fruit rings (part)"